Those looking to sell Williams Lake real estate or move into our community with the expectation of steady growth can find reassurance in the most recent sales activity report. 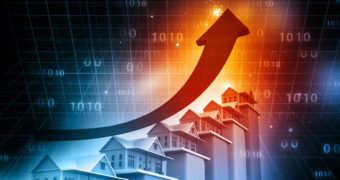 Released back in mid-October by B.C Northern Real Estate Board (BCNREB), the market report indicates that home sales for the first nine months of 2016 are up 18 percent and that the total value of transactions is up nearly 30 percent compared to the year before. In sum, 346 Williams Lake properties sold from January to September for an aggregate value of $80.2 million. Homes in other parts of Cariboo sold at higher volumes than last year, too, with 100 Mile House nearly doubling its sales volume compared to the year before. These numbers signal a growing community and a strengthening economy for all Williams Lake locals and other nearby residents. Homes on acreage in Williams Lake saw the biggest sales activity during January to September-end 2016 at 100 units. Homes in the below-average price range also moved regularly. In total, half of the 120 single-family detached homes sold during the report period closed for less than $245,000 and took on average 58 days to sell. This data represents a far lower number than the average British Columbia single family home price of $663,000, although that figure is likely skewed by the million-plus averages from Metro Vancouver. Also, sold in Williams Lake during the report period were 31 manufactured homes on land, 24 manufactured homes in parks, 29 parcels of vacant land and 16 townhomes. A total of 384 properties remained active at the end of September 2016. Other markets close to Williams Lake fared better than the year before, as well. Quesnel, for instance sold 255 properties during the report period worth a total of $48.5 million. These sales represented even lower-priced homes than Williams Lake’s, with half of Quesnel properties selling under the $193,000 mark. 100 Mile House represents the fastest growth area, though, with a whopping 500 properties sold during the report period in transactions totalling $110.5 million. 141 of these properties were single family homes, and half of these sold for less than $235,000. Northern housing markets largely dependent on oil-related industry, including Fort Nelson and Fort St. John, did happen to slow compared to last year. Those interested in buying or selling properties in Williams Lake should feel positive about the year-over-year sales volume and transaction value lift. Averaging the entire volume and transaction value together equals $231,792 per sale, a reassuring number in a housing market that has only strengthened over time. If you are interested in joining this market, do not hesitate to contact a Williams Lake real estate professional. I can help you sell your home or buy a property for either personal use or for investment purposes. Expect the Williams Lake community to get only better as time marches on! You can learn more about the local market by viewing my current Williams Lake home listings.